Today is the 242nd anniversary of American Independence. Though the conflict had been going on for several months, most people recognize July 4th as the day the United States officially declared its independence. 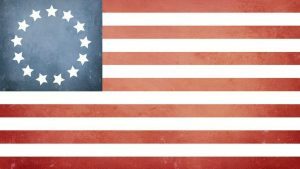 Most citizens are aware of the thirteen colonies that made up the young nation and the many soldiers who called these colonies home, but did you know Revolutionary War battles were fought in the South? Some of them were in our own backyard! 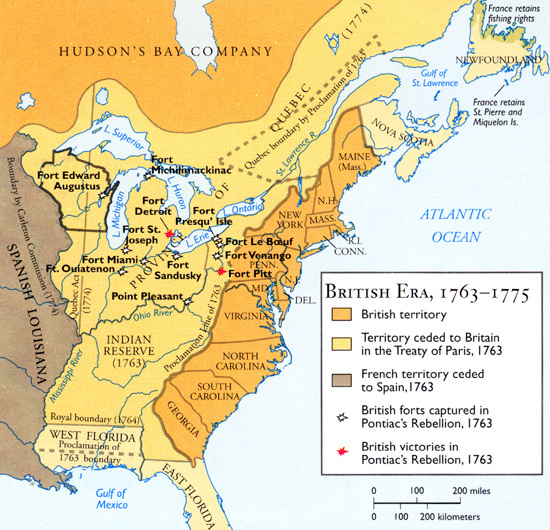 After the French and Indian War ended in 1763, France lost most of its territory in North America. In addition to the thirteen American colonies, Britain now had rights to most of the American Southeast, including the territories of East and West Florida. When the American colonies made arrangements for their Continental Congresses and requested signatures for the Declaration of Independence, representatives were requested from both East and West Florida. By 1776, there were sizable English settlements in these two colonies, including our own St. Tammany Parish. Most residents at the time were very loyal to the British cause. In 1778, the Continental Congress dispatched Captain James Willing to Baton Rouge along with a large force of men to compel the inhabitants of West Florida to either join the American cause or claim neutrality. Though sympathetic, many of the residents opted to remain loyal to the British as they were more concerned with the Spanish forces in New Orleans. In 1763, France turned New Orleans over to Spain, who remained heavily invested in the city. Local residents defeated and expelled Captain Willing's men and Britain sent reinforcements to help protect Baton Rouge and other cities in West Florida. In 1779, Spain entered the war alongside France after signing the Treaty of Aranjuez. The king of Spain deployed a small army to West Florida with the goal of reclaiming the territory the British had won in 1763. They were led by Bernardo de Galvez. 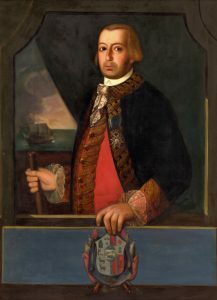 Portrait of Governor Bernardo de Galvez with white-grey hair wearing a blue coat with gold trim and a red vest with gold trim. From the start of his tenure as Louisiana's second governor since reclaiming the territory, Galvez supported the American Revolution and provided money, ships, and arms to American forces. Galvez gathered a large force of Spanish, Native American, Creole, German, Islenos, Irish, Afro-Cuban, and free people of color. In 1779, Galvez supplied ships so that American sympathizers could wrestle Lake Pontchartrain from British control, before Galvez himself led an assault on Baton Rouge. In 1780, Galvez marched on Mobile, capturing it as well. His biggest victory came in 1781 at Pensacola, where Galvez commanded an army of nearly 8,000 men of many different backgrounds in the longest siege of the American Revolution. Today, Galvez is most remembered by the city in Texas which bears his name, and the bay on which it sits: Galveston. St. Bernard Parish is also named after Bernardo de Galvez, as well as East and West Feliciana Parishes for his wife. There is a statue of Galvez on horseback on Canal Street in New Orleans, a gift from Spain in 1977. Find more info about Bernardo de Galvez and other heroes and battles of the American Revolution at your local branch of the St. Tammany Parish Library.